GLBSE BitCoin Market Watch: Brief introduction to the blog and BitCoin. Brief introduction to the blog and BitCoin. Welcome to the GLBSE BitCoin Stock Market watch blog. The GLBSE BitCoin Stock Market is very new and BitCoin is still in it's infancy. 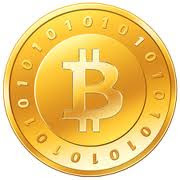 BitCoin is a virtual online crypto-currency exchangeable for commen currencys (US Dollar, Euro's and British Pounds ect. ), also for gold and silver. On the GLBSE BitCoin Stock Market you can invest in stocks, shares and bonds with BitCoins. You can also invest in some commodity based funds such as silver. Hopefully I will be able to help you navigate the risks and possible pitfalls surrounding such a new investment vehicle. One of the best features of the GLBSE BitCoin Stock Exchange is its anonymous and offshore nature.